I have to admit, Asheville NC is a pretty cool place. 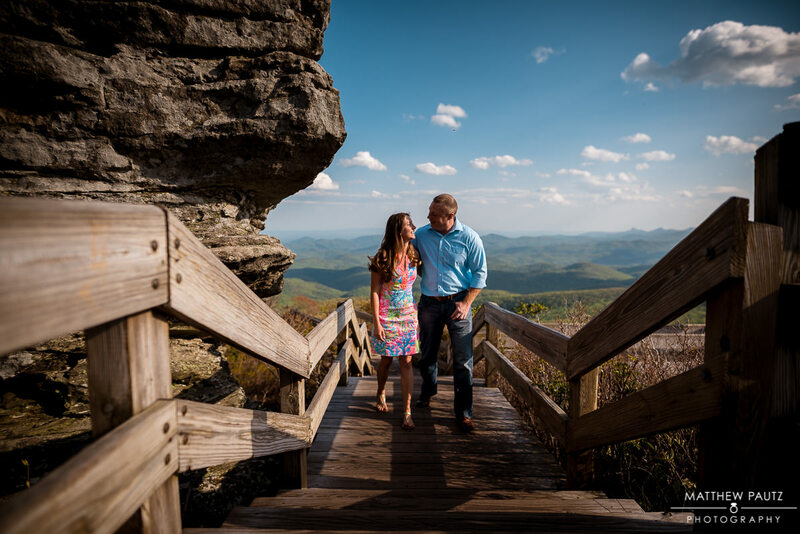 This session doesn’t take place in Asheville of course, but it is the closest major city to one of my favorite places to do mountain engagement photos – the Blue Ridge Parkway. 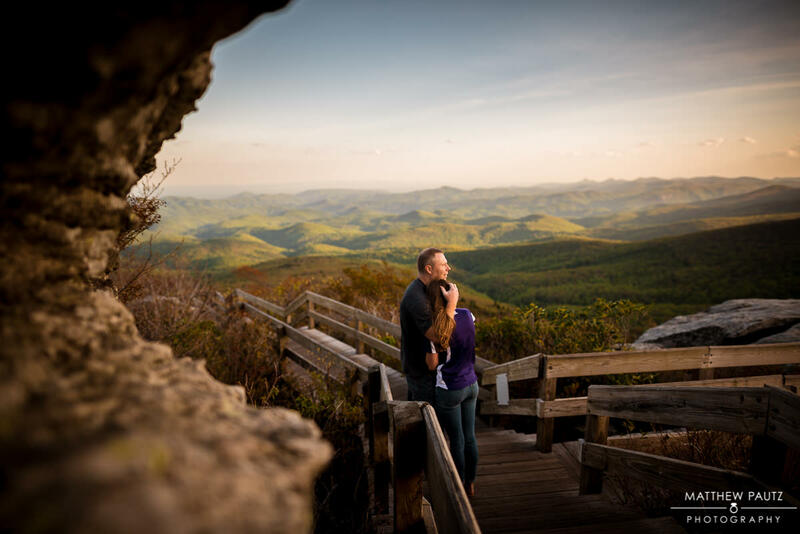 Asheville wedding photographers may not have to worry about travel quite as much as I do here in Greenville, but I make up for it with a passion of the outdoors, landscape photography, and adventurous couples. 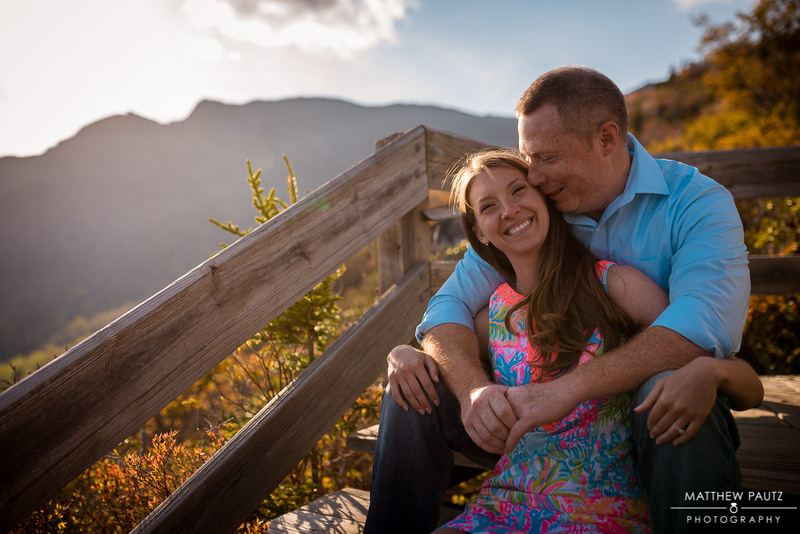 Sara and Bobby certainly didn’t mind the trip – and my clients’ happiness is the most important thing to me. 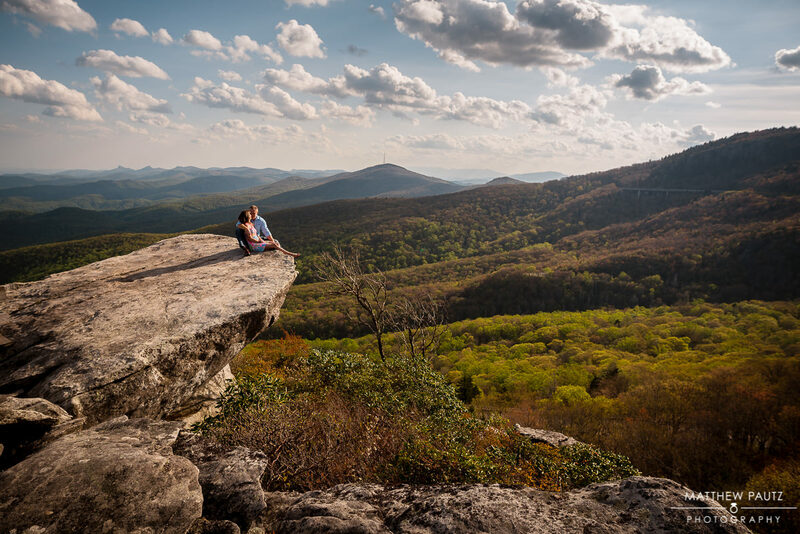 As a matter of fact, Sara and Bobby actually jumped at the chance to have their mountain engagement photos taken up here – and who can blame them? It is perfect. It is easily accessible, the hikes are short enough to not ruin hair/makeup, and the views are out of this world. For an adventurous couple like Sara and Bobby, having their engagement photos taken out here was a no-brainer. it perfectly complemented their personalities and allowed their photos to reflect who they are as people: fun-loving, adventurous, and completely in love. 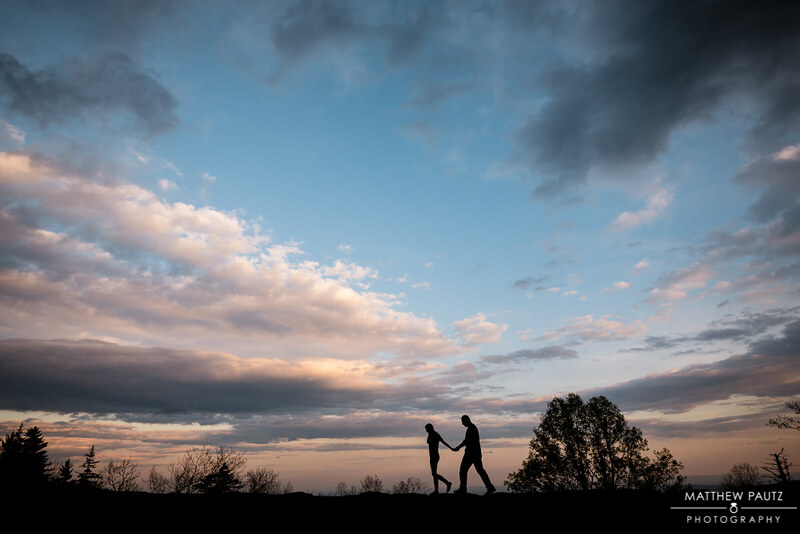 Engagement photography is utterly unique in the wedding photography world. 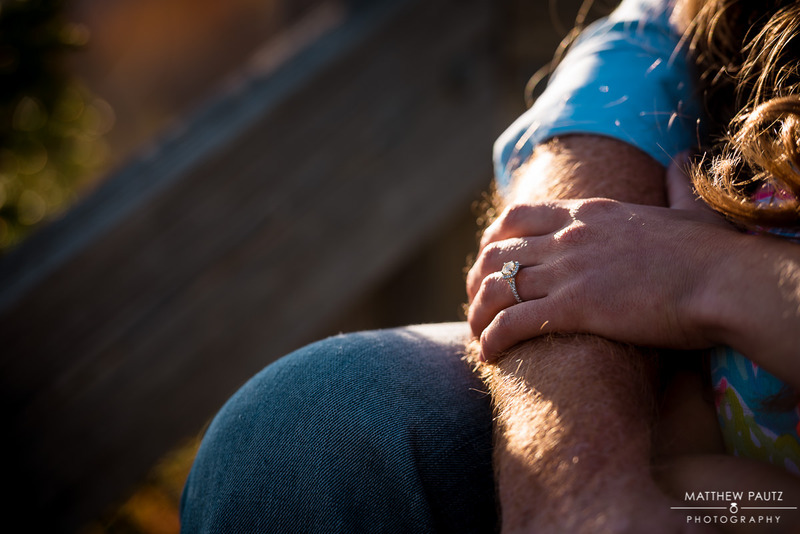 As a Greenville engagement photographer, I get to meet with a couple, get a feel for who they are, and watch how they naturally interact with one another…all on a day completely separate from their wedding. 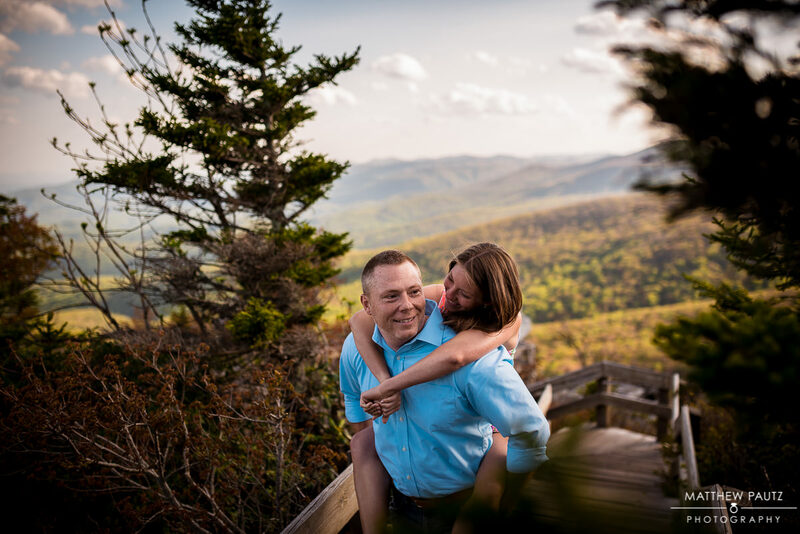 It is just an added bonus that Sara and Bobby wanted to do so within the gorgeous backdrop of the Blue Ridge Mountains. 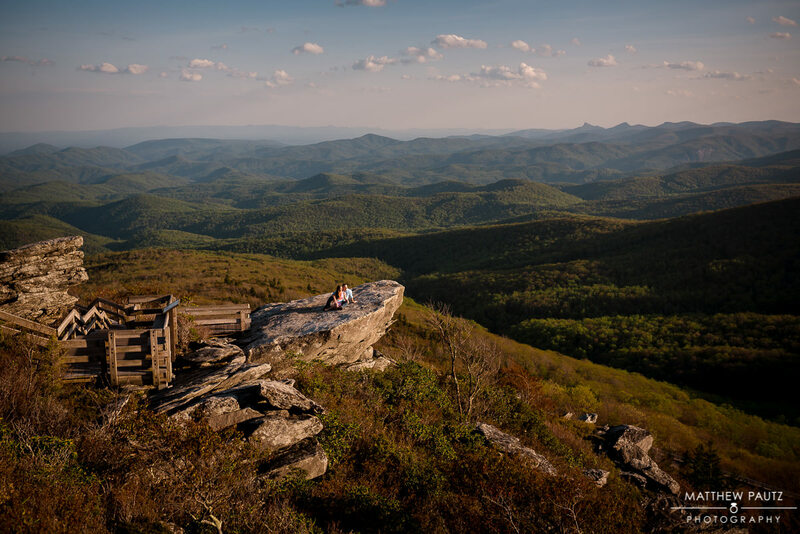 Some die hard blue ridge parkway fans will instantly recognize this location as Rough Ridge, near Linville Falls. 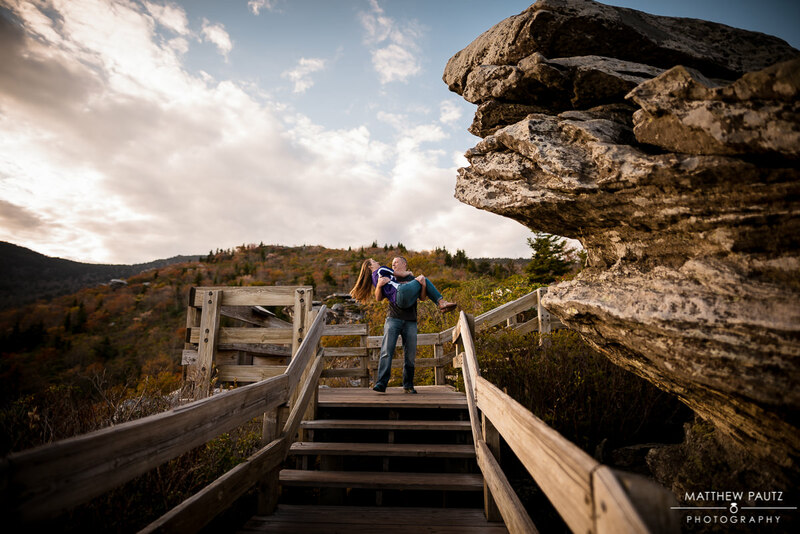 You can even view the Linn Cove viaduct in the background of some of the following images. These details, along with the glorious weather and a wonderful couple made engagement photography easy. I have said it many times before – I love my job. I have always believed that a good life is one spent doing what you enjoy, with people you enjoy doing it with. It is a major bonus that sometimes it takes me to the most amazing places possible. 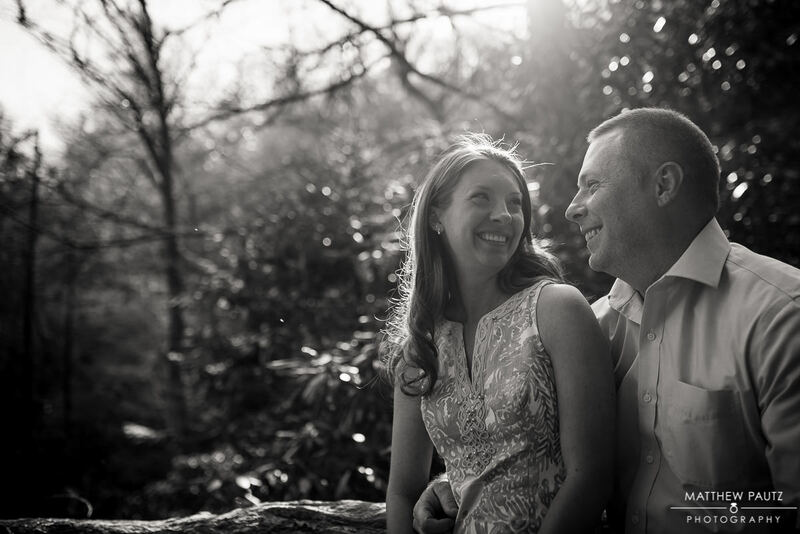 Special thanks to Sara and Bobby for being total troopers during the headaches of planning this session. I think the end result is worth it! Want to see more work like this? 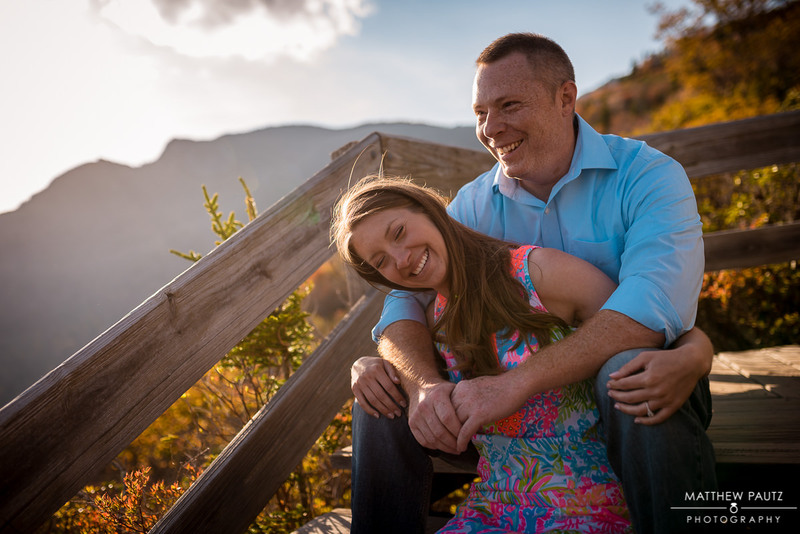 Check out another recent mountain engagement session I did. Or of course, you can check the entire list of my recent photography. 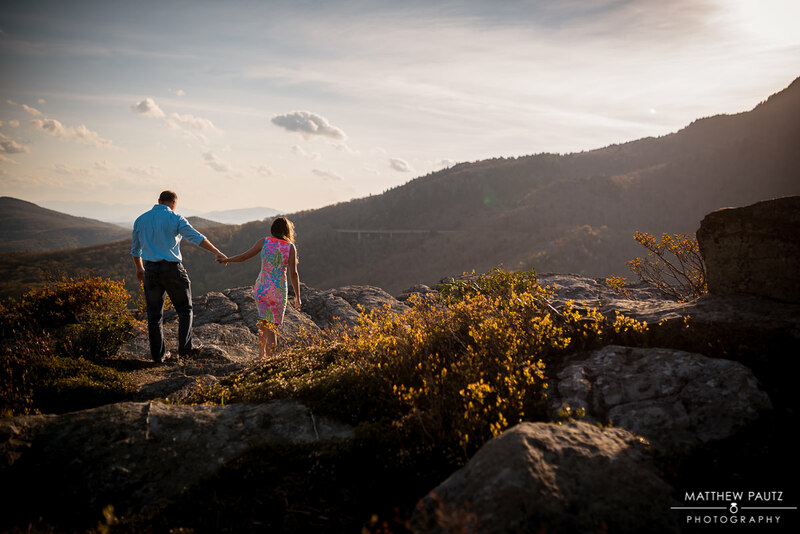 And feel free to drop me a line by visiting my contact page if you would like your own mountain engagement photos like these. Stay tuned for Sara and Bobby’s wedding – it will not disappoint!